Finally I am getting around to dressing up my desk. I had to go into storage where all my goodies are stored from our move at the farm. 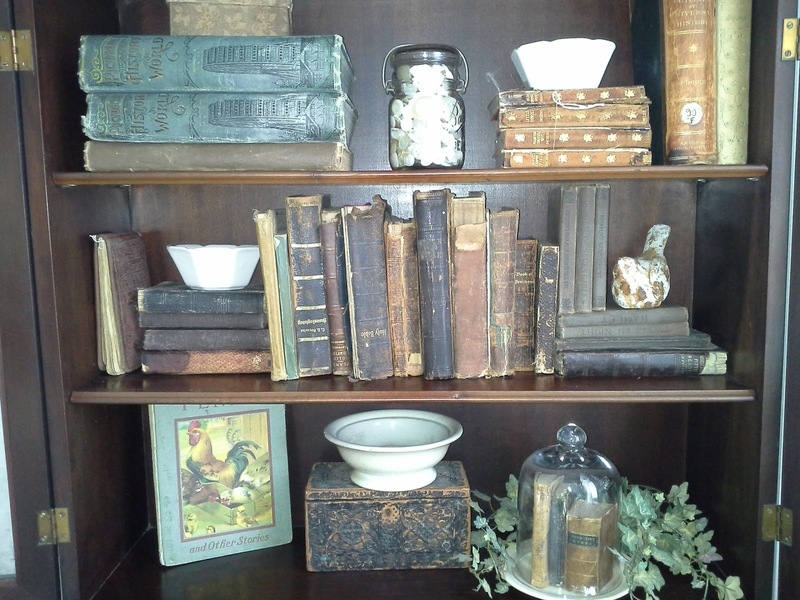 I did manage to find part of my collection of very old leather bound books. I don't know where the others are but I'm sure I put them in a place where I thought I would not forget where I put them. Have you ever done that? Any whooo, I really like how its turning out. When I purchased this desk at a really great deal I might add, I had in my mind that I was going to paint it white or something in a light paint anyways. But once I got it home, I just have not had the heart to do that yet. What do you think? Paint it? 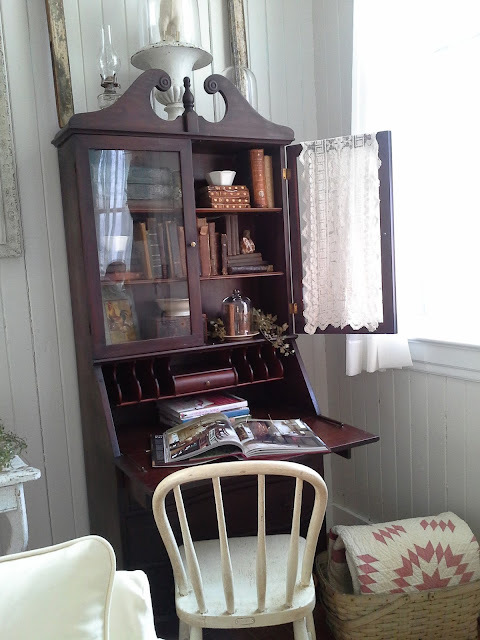 I am trying to achieve the country french look here so maybe a hint of gray paint? Oh the things we don't do to try to make our homes look like pictures from a magazine ha? Well anyways, I hope that you like what I have done here. Any suggestions are always welcome. I can take a little critisism . I said a little! So go ahead and let me have it! Hope you are enjoying your beautiful day! I collect old leather bound books, too. If I close the doors to my sitting room and then open them later you can smell the old aroma. I love how you styled this secretary. That secretary is great! It gave me an idea..hmmm I'm coming up on a blog party at Copycat with Debbiedoos...I signed up for and havent been able to get anything big done for that soooo, sister if you're ok I may copy cat some of your ideas!? That ok? Im at porch sittin time for scooby. Also I have a give away..check it out if you have time. I really like this piece dark. But I'm sure you could do something lovely with it painted. 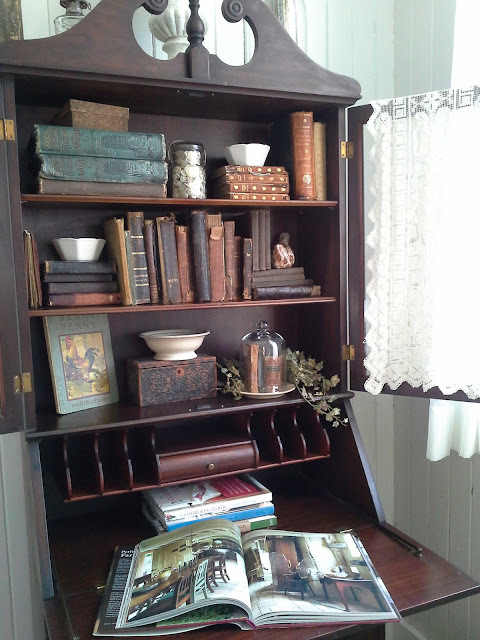 I have a small set of antique books that were my grandmothers that I keep for decoration on my roll top desk. I just love the look of the old books.